FOX has announced the premiere dates for "The Orville" (Dec. 30), "Gordon Ramsy's 24 Hours to Hell and Back" (Jan. 2), "Gotham" (Jan. 3), "Proven Innocent" (Feb. 15), and "Cosmos: Possible World" (March 3). 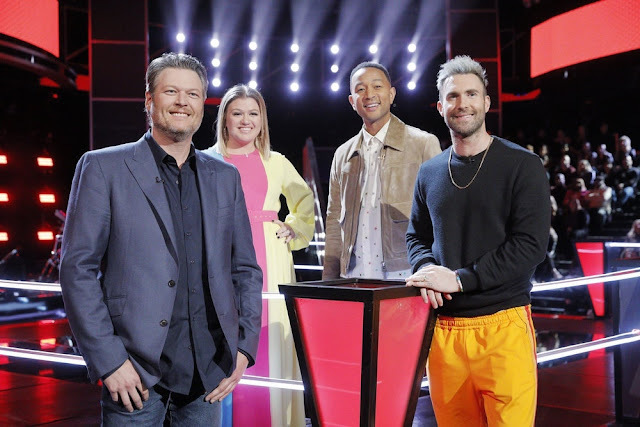 As previously announced, new celebrity singing competition "The Masked Singer" will premiere Jan. 2, new epic thriller "The Passage" will premiere Jan. 14 and all-new live musical event "Rent" will air Jan. 27. Season Two of Seth MacFarlane’s hit space adventure series, "The Orville," debuts Sunday, Dec. 30 (8:00-9:00 PM ET/5:00-6:00 PM PT live to all time zones), following the NFL on FOX doubleheader. Set 400 years in the future, the series follows The U.S.S. Orville, a mid-level exploratory spaceship, and its crew, both human and alien, who face the wonders and dangers of outer space, while also dealing with the problems of everyday life. In Season Two, Ed (MacFarlane) and Kelley's (Adrianne Palicki) relationship will take a new turn, while the ship’s crew will meet never-before-seen aliens, face old adversaries the Krill, make first contact with a new civilization and revisit the planet Moclus. Season Two of this past summer’s No. 1 new series, "Gordon Ramsy's 24 Hours to Hell and Back" premieres Wednesday, Jan. 2 (8:00-9:00 PM ET/PT). The hit restaurant makeover series features Ramsay driving to struggling restaurants across the country in his state-of-the-art mobile kitchen and command center, Hell On Wheels, to bring failing restaurants back from the brink of disaster – all in just 24 hours. "The Masked Singer" (9:00-10:00 PM ET/PT) debuts. Hosted by Nick Cannon, with panelists Jenny McCarthy, Nicole Scherzinger, Ken Jeong and Robin Thicke, this top-secret celebrity singing competition will have everyone asking, “who’s behind the mask? !” Based on an international format, and already a viral phenomenon with over half a billion fans worldwide, the series features celebrities facing off against one another with one major twist: each singer is shrouded from head to toe in an elaborate costume, complete with full face mask to conceal his or her identity. With each performance, the host, panelists, audience, viewers and even the other contestants are left guessing who is singing behind the mask. On Thursday, Jan. 3, "The Orville" makes its time period premiere with an all-new episode (9:00-10:00 PM ET/PT), following the fifth and final season premiere of "Gotham" (8:00-9:00 PM ET/PT). 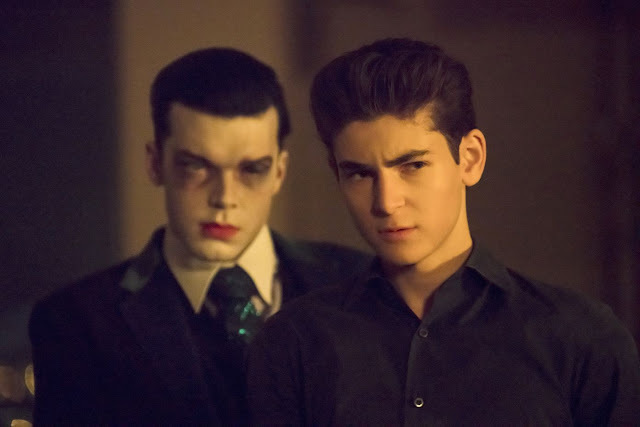 The show wraps up in a farewell event that will focus on Bruce Wayne’s (David Mazouz) ultimate transformation into the Caped Crusader, as Jim Gordon (Ben McKenzie) tries to hold together a city on the edge of chaos‎. FOX also has ordered two additional episodes of the hit series, raising the season order to 12 episodes, and bringing the full series order to 100 episodes. Following the events of last season, the fifth season, titled “Gotham: Legend of the Dark Knight,” will pick up with Gotham City split amongst Gordon and the GCPD, and some of the most notorious fan-favorite villains, as the heroes try to gain control and salvage what’s left of the deteriorating city. This season will also introduce new villains, including the iconic Bane (guest star Shane West). "Gotham" is an origin story of the great DC Super-Villains and vigilantes, revealing an entirely new chapter that has never been told. From executive producer/writer Bruno Heller and executive producers Danny Cannon and John Stephens, "Gotham" follows the rise of Det. James Gordon through a dangerously corrupt city teetering between good and evil, and chronicles the birth of one of the most popular super heroes of our time. The series, from Warner Bros. Television, stars Ben McKenzie, Donal Logue, David Mazouz, Sean Pertwee, Robin Lord Taylor, Erin Richards, Camren Bicondova, Cory Michael Smith and Chris Chalk. Epic thriller "The Passage" debuts Monday, Jan. 14 (9:00-10:00 PM ET/PT), following the winter premiere of "The Resident" (8:00-9:00 PM ET/PT). Based on author Justin Cronin’s best-selling trilogy of the same name, "The Passage" is an expansive, character-driven thriller written by Liz Heldens (“Friday Night Lights”). Executive-produced by Heldens, Emmy Award winner and Academy Award and Golden Globe nominee Ridley Scott (“The Martian,” “Gladiator”) and writer/director Matt Reeves (“Dawn of the Planet of the Apes,” “Cloverfield”), "The Passage" focuses on Project Noah, a secret medical facility where scientists are experimenting with a dangerous virus that could lead to the cure for all disease, but also carries the potential to wipe out the human race. When a young girl (Saniyya Sidney, “Fences,” “Hidden Figures”) is chosen to be a test subject, a federal agent (Mark-Paul Gosselaar, “Pitch”) is tasked with bringing her in, but ultimately, becomes her surrogate father, determined to protect her at any cost – even as Project Noah’s work threatens to unleash an unimaginable apocalypse. The live musical production of the groundbreaking, Tony Award- and Pulitzer Prize-winning musical RENT comes to FOX on Sunday, Jan. 27 (7:00-10:00 PM ET live/PT tape-delayed). A re-imagining of Puccini’s “La Bohème,” and set in New York City’s gritty East Village, RENT tells the unforgettable story of seven artists struggling to follow their dreams during a time of great social and political turmoil. Winner of four Tony Awards and the Pulitzer Prize, writer/composer Jonathan Larson’s tour de force continues to offer an inspiring message of hope and friendship. Acclaimed film, television and theater producer Marc Platt (“Grease: Live,” “La La Land,” “Wicked”), along with the estate of writer/composer Jonathan Larson, will executive-produce the live musical event. The cast features Kiersey Clemons, Brandon Victor Dixon, Jordan Fisher, Vanessa Hudgens, Brennin Hunt, Mario, Tinashe and Valentina. Additionally, Keala Settle will perform the iconic solo from “Seasons of Love” and join the ensemble in the live musical. New legal drama "Proven Innocent" will premiere Friday, Feb. 15 (9:00-10:00 PM ET/PT). Emmy and Golden Globe Award winner and EMPIRE co-creator Danny Strong partners with David Elliot (“Four Brothers”) to tell the emotional story of one woman’s fight for the innocence of others, as well as her own. "Proven Innocent" follows an underdog criminal defense firm led by a fierce and uncompromising lawyer, who was wrongfully convicted in a sensational murder case that made her an infamous media obsession, a household name and a national cause célèbre. The drama stars Rachelle Lefevre (“Under the Dome,” “A Gifted Man”), Emmy Award and Golden Globe winner Kelsey Grammer (“Frasier,” “Cheers,” “Boss”), Russell Hornsby (“Seven Seconds,” “Grimm”), Vincent Kartheiser (“Mad Men”), Tony Award winner Nikki M. James (“BrainDead,” “The Good Wife,” “The Book of Mormon”), Riley Smith (“Frequency”) and Clare O’Connor (“Easy”). Adam Armus is an executive producer and showrunner. Airing as a global event on FOX and National Geographic in 172 countries and 43 languages, the Emmy and Peabody Award-winning COSMOS will return for its third installment, beginning Sunday, March 3 (9:00-10:00 PM ET/PT). It will once again be executive-produced, written and directed by Ann Druyan (NASA’s Voyager Record, “Cosmos: A Personal Voyage,” “Contact”); executive-produced by Seth MacFarlane, Brannon Braga and Jason Clark; and hosted by Neil deGrasse Tyson, the famed pop-culture icon and astrophysicist.